Not worth anything nowadays, just get on with it. If I bump someone I signal that I am sorry, sorry but that is just how I roll. Usually use sorry if its me vs 3 or 4 tanks and im a one shot. Don't get me wrong i still try because sometimes it works out. Apart from that i never use it. I say sorry to ease the pain and suffering i caused to my team mates. I use it alot. I say sorry on mic, forget trying to fumble my way to it on the wheel of luck. You're wrong. It is good practice to apologize if you know you were in the wrong. Every good, little thing you do helps keep us civilized. I accidentally blocked and got one of my team mates killed today. Was fully zoomed in and didn't realize until it was too late. I sent him a message quickly explaining what I did and apologized. Apparently he didn't even realize. Still worth it though. On that note, I have also learned today I am a f@@*&$ hacker, it was a good day. I "Sorry" these days if I make a stupid tactical move like advancing too far too soon, and know I'm about to bite the bullet. Bumping a green enough to screw them up is another reason. 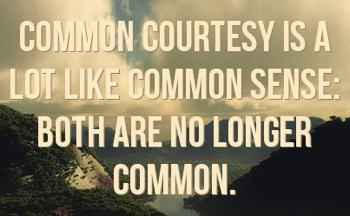 Just common courtesy really. I also Sorry when players need help on a flank and I can't join them. Negative just rubs me the wrong way for some reason. Had a match a couple days back that was light and medium heavy, I kinda got in the way of a 62a which resulted in him taking an arty shell for 900hp.... I immediately stopped and said sorry with the comms wheel and at the end of the match sent a message apologizing for my spudtastic tomfoolery. It was the polite AND right thing to do if you ask me. If I do something stupid or on accident, I will msg the person and apologize. But that is just how I am. I’ll message a sorry if I did something really stupid that blocked somebody or something. I don’t use the radial wheel sorry because it’s too complicated to get to. if I accidentally bump some one,possibility costing them a steel wall medal or similar.